In a first-of-its-kind initiative in the state, the MP forest department will start an elephant bathing show at the Kanha Tiger Reserve for tourists, starting in 2017. Reserve field director Sanjay Shukla told HT that many tourists, especially foreigners, love to watch elephants while bathing and splashing water. “So we decided to start an elephant bathing show here in Kanha. We have 14 elephants and they are regularly taken for bathing to the local river,” he said. Shukla said the elephant bathing show will be held 3-5 pm daily. “The show will be held on the banks of the Banjar river which flows through Mukki range of the reserve,” he said, adding that only 30 tourists will be allowed for the show, who will travel to the river in five jeeps. He said the money generated from the initiative will be used for the improvement of the reserve and for the welfare of the field staff. He said the initiative will also create awareness on protection of conservation of elephants. “The Indian elephant (Elephas maximus indicus) is one of three recognised subspecies of the Asian elephant. Threatened by the loss, degradation and fragmentation of its habitat, the Indian elephant has been listed as ‘endangered’ by IUCN. Its population has declined substantially for last six to seven decades,” Shukla said. Wildlife activist Praloy Bagchi said it is not desirable that there be human interference while elephants bathe. “Elephants should be allowed to bathe in a natural way. It should not be made a spectacle. Generally when tourists come to watch animals, they expect a certain behaviour from them that entertains or thrills them. Imposing such expectations on an animal cannot be good for it in the long run,” he said. Forest officials, however, said the elephants which will be used for the show are not wild. 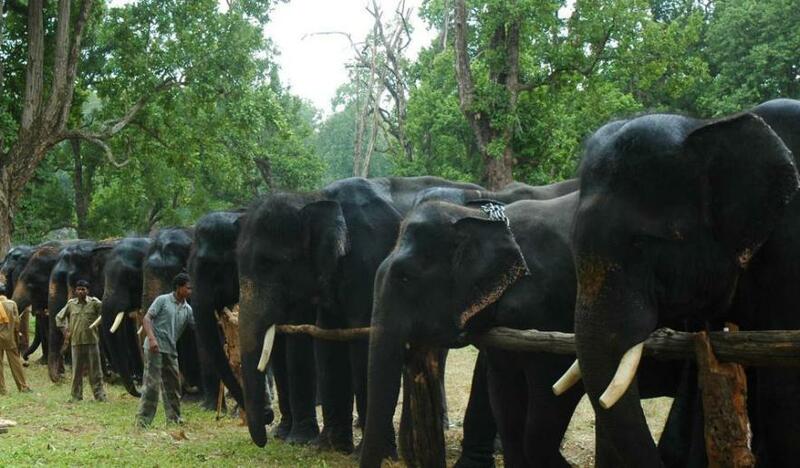 “They are trained elephants and can be directed by mahouts to take certain actions, which are safe. They love water and in no way will we force them in any way,” said a senior forest official.